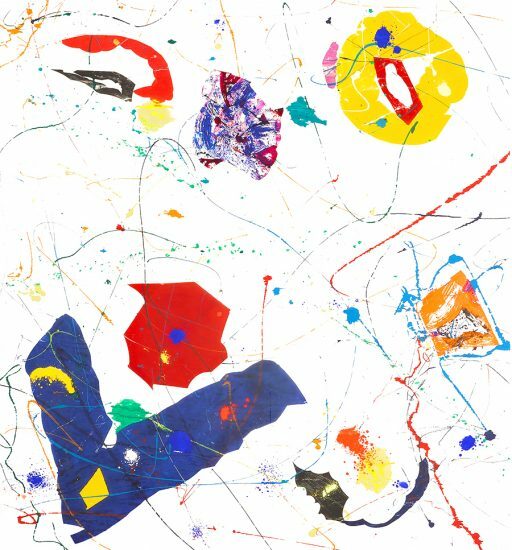 This work is hand signed by Sam Francis (San Mateo, 1923 - Santa Monica, 1994) in pencil on verso. 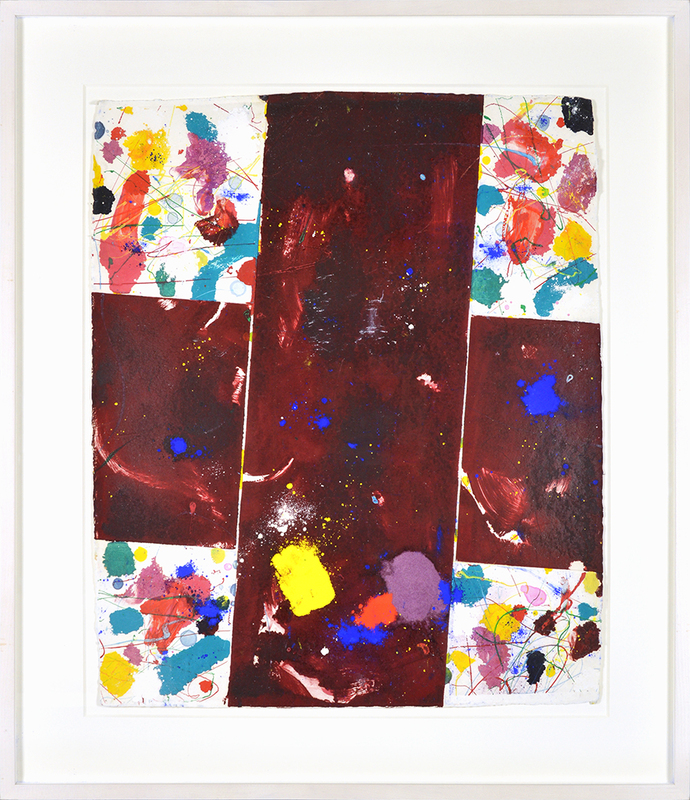 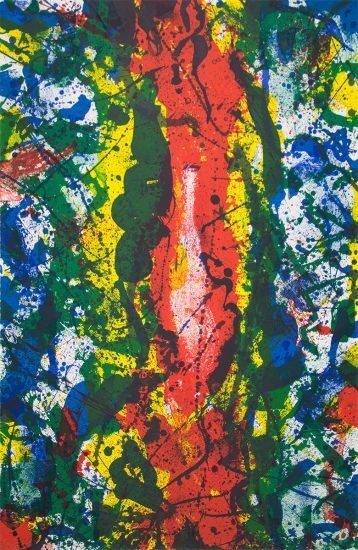 Sam Francis Monotype Untitled, 1982 is a gorgeous masterpiece that acts as more of an explosion of an artistic experience. 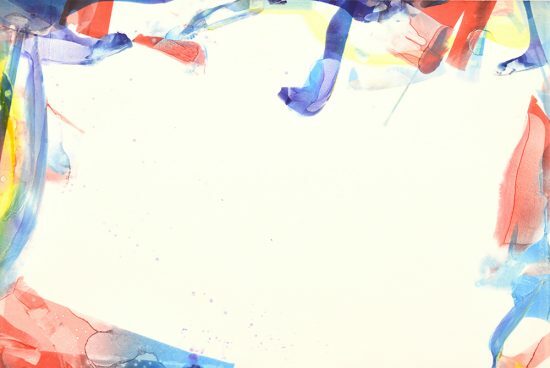 It births an incredibly aesthetic work of art that breathes movement in a tranquil and harmonious way. 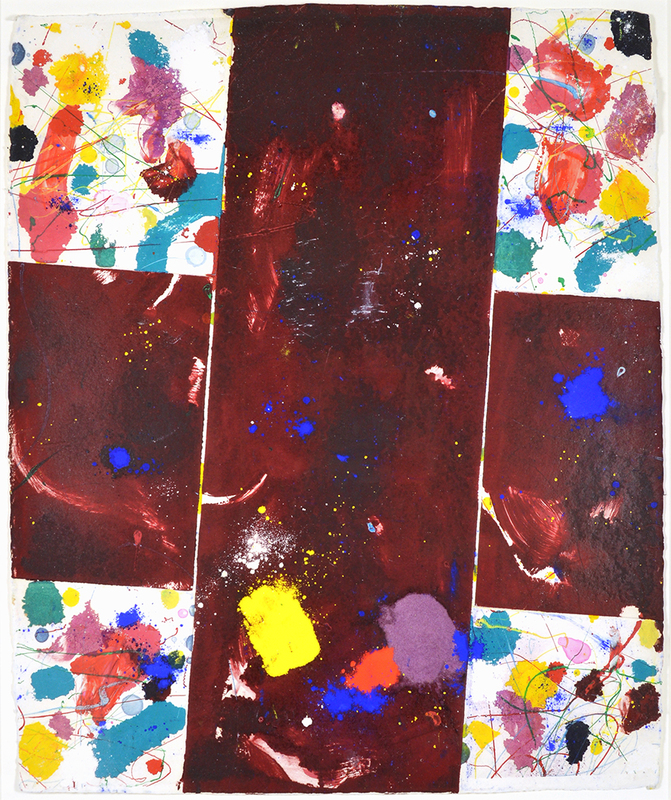 Energy and tranquility is explored here where one can feel the contrasting sensations fuse together. 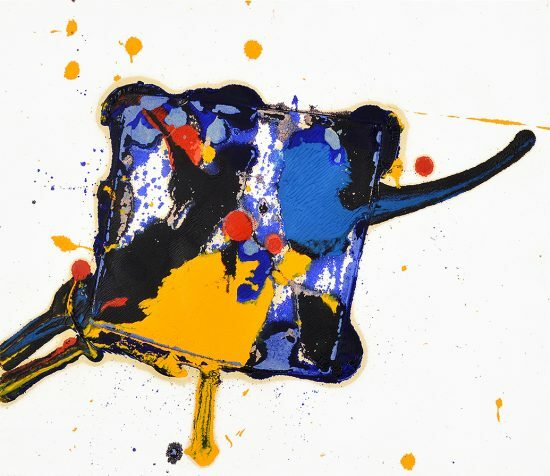 This work draws you closer and closer as it invites you to explore its space and details. 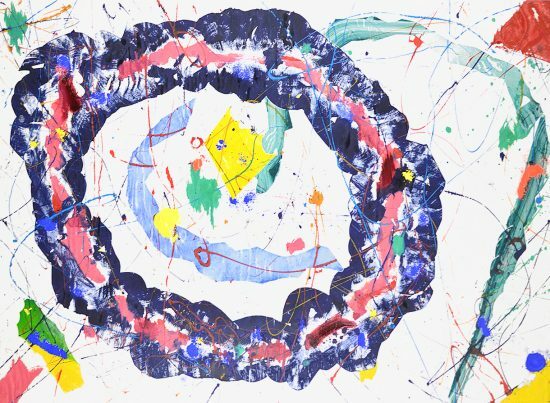 The cadence of emotions and artistic elements give way for an incredible pseudo-visceral experience for any viewer. 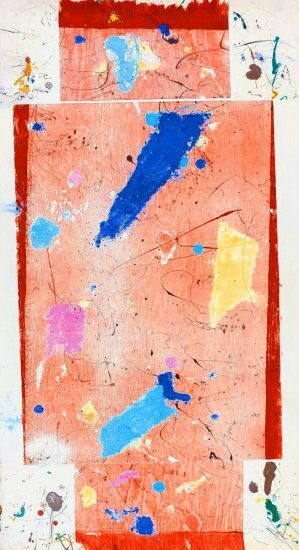 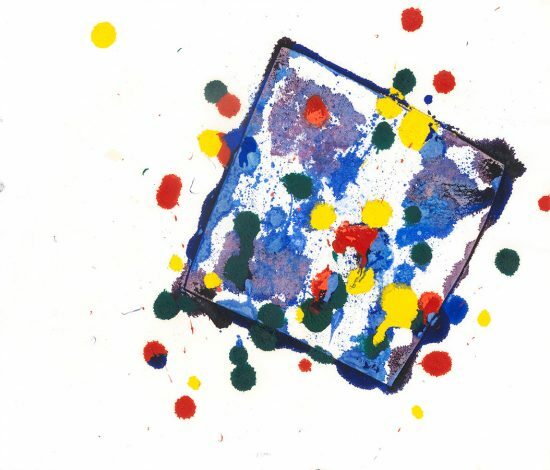 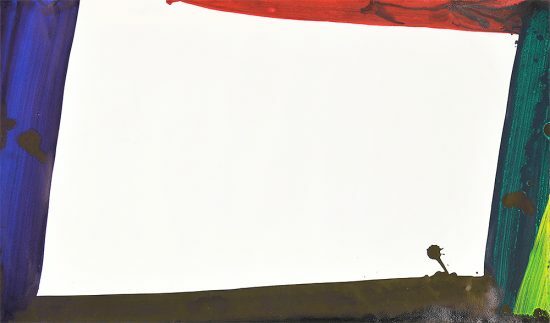 Created in 1982, this Unique Original Monotype with oil paint, dry pigment, and ink on handmade paper is hand signed by Sam Francis (San Mateo, 1923 - Santa Monica, 1994) in pencil on verso. 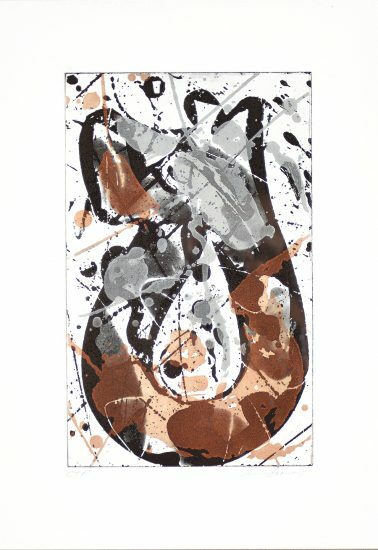 Sam Francis Monotype Untitled, 1982 is fully documented and referenced in the below catalogue raisonné and texts (copies will be enclosed as added documentation with the invoices that will accompany the sale of the work).